Nationally known authority on spirituality, health and loss, Harold G. Koenig, M.D., will lead “The Book of Life,” an all-day training conference to equip area faith leaders and medical providers in offering end-of-life care, scheduled for Tuesday, April 2, at the UTC University Center. Originally for clergy and faith leaders, this year’s conference has been expanded to included health care providers, and will provide continuing medical education for physicians. “When faced with the end of life journey, individuals and their loved ones often feel anxiety and a great amount of uncertainty. The many clergy, doctors and spiritual advisors in our community walk alongside families through their end-of-life journey, and we are offering them an opportunity to receive training on how to address the difficulty of end of life with care, grace and wisdom. We need to understand that end-of-life care is not a failure of healthcare, but a part of healthcare,” said Dr. Greg Phelps, chief medical officer at Hospice of Chattanooga, one of the event’s main sponsors. Other sponsors include The Baylor School, Chattanooga Association for Clinical Pastoral Care, Chattanooga-Hamilton County Medical Society, Hospice of Chattanooga, CHI Memorial Hospital, Southeast Tennessee Area Agency on Aging & Disability, Tennessee Hospice Organization/Honoring Choices and University of Tennessee Health Science Center. Dr. Koenig is the director of Duke University’s Center for Spirituality, Theology and Health and has published extensively in the fields of religion, spirituality and health, with over 50 books in print or preparation. 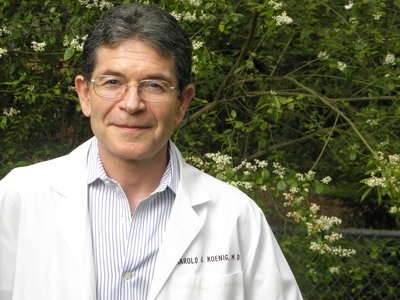 Dr. Koenig serves as associate of medicine at Duke University Medical School, where he is a professor of psychiatry and behavioral sciences, and has given testimony before both the U.S. Senate and House of Representatives on the benefits of religion and spirituality on public health. The Book of Life conference will run from 8 a.m.-4:30 p.m. In addition to Dr. Koenig, spiritual and medical leaders will lead a number of sessions throughout the day, including Burnout and Professional Self Care, The Chaplain’s Role in End of Life Care, On Losing a Child and Family Grief & Resilience. Individual registrations begin at $35 and include free parking, breakfast and lunch at the UTC University Center, 615 McCallie Ave. Pre-conference dinner will be offered on Monday, April 1. More information is available at www.hospiceofchattanooga.org/bol or by calling the Hospice of Chattanooga Foundation at 423-805-7050.